Warden Park Academy, in Sussex, has worked with Future First for three years. They have harnessed the support of their former students in a whole host of ways, most recently as career speakers, mentors, and donors. 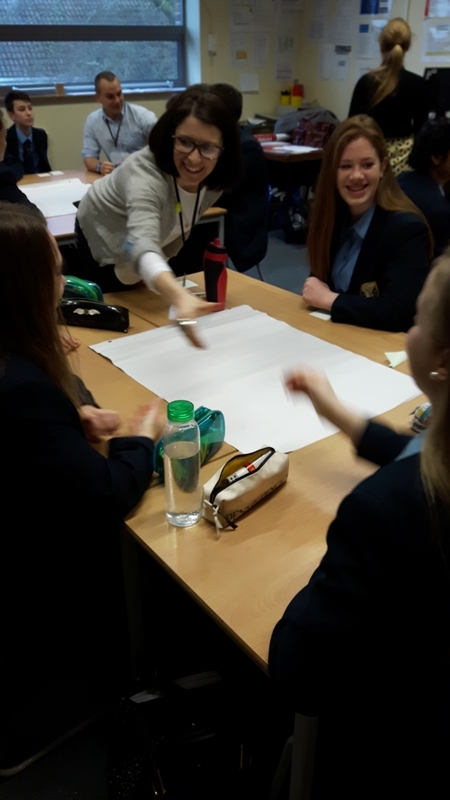 In October, the school launched their Highly Able Mentoring Scheme. The programme involves intensive interaction between a former student who specialises in a specific subject area and high attaining Year 10 students. They have kicked off the programme with Luke Mitchell who is currently at university. The first session took place at the end of October, in which Luke co-taught a lesson on romantic poetry. He then ran an afternoon session focused on Literacy Criticism for 30 high attaining students. Due to great feedback from students, the school wanted to allow them to continue to engage with Luke. They set up a Google Classroom, in which Luke will post thought-provoking articles and initiate discussion amongst the students. He will also offer one to one guidance and advice on academic needs specific to English. Not only does the scheme allow Luke to give back to his school, but it’s also having an positive impact on his own academic career. Luke recently went into his second year of university: “Considering my proximity to my secondary school years, assuming the role of teacher for an hour or so was a great privilege and entirely new ground for me. Engaging students is an exciting challenge, and I was pleased that we achieved an atmosphere of real enthusiasm”. Luke values the support he can provide to students, particularly those who don’t have older siblings: “I would have enjoyed having someone a little older than myself to talk about poetry with – serving a middle ground between student and teacher which isn’t often satisfied unless there’s an older sibling around”. Warden Park plans to roll the scheme out across core subjects over the coming year. Thinking about launching a similar scheme in school? Get in touch with your alumni officer or email info@futurefirst.org.uk.